If you were having coffee with me…. I would say hello and thank you for visiting me. I would tell you that my garden has been growing on me, its been giving me quite an interesting perceptive on things and life. You see I have fictional character in a work in progress who rather likes to garden; the story doesn’t have much of plot as, yet, but its coming along nicely…. See what I did there? If you were having coffee with me I would ask you what would you do if you found a rose growing in your vegetable garden? A rose no matter how beautiful; in a vegetable garden its nothing but a weed……. Would you let it grow? 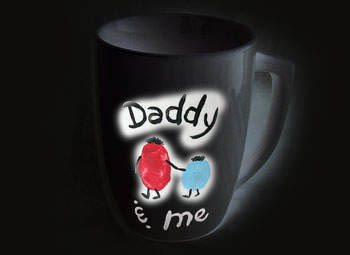 If you were having coffee with me; I would ask you that did you know why you spell it Father’s Day and not Fathers’ Day? Well not only is it the correct grammar but you are celebrating Your Father as an individual and not all the Fathers in the world, just yours. If you are lucky to have one you can say Happy Father’s day to then say it while you can; sometimes dads are not quite as appreciated as they deserve; even just checking at the way the days have been commercialized people spend more for their mothers than for their fathers … how about that! My dad passed away when I was young and I remember watching this movie called Neria; where the relatives of a widowed woman suddenly crawled from the woodwork demanding their share of the inheritance from their late brother’s estate; eventually everything got solved thanks to inheritance law and the judicial system. Oliver Mtukudzi’s feature track from the movie Neria featuring Joss Stone during her visit to Zimbabwe…. Thank you for visiting its been a pleasure having you…… have a blessed week. PS Yes I drew That In case you are wondering, wander no further…. Winter Solstice …. Winter is here!!!! hahahahaa how goes it? Beautiful post. It took me down memory lane to my father’s death. I also remember the movie Neria and how it resonated with so many widows. There was not a single dry eye in our house when we watched it. Your uncles were noble men indeed. That Neria movie messes around with your feels and gives you chest pains… Unless you are an unfeeling BOT… We used to make such deep movies …. Wow, what a very interesting article. The Neria movie really pulls at the heart strings, made me cry, they don’t make movies like that anymore. My dad passed away when I was young too and just like your case my uncles are pretty great as well. They are very supportive. I am so glad the bible project has gotten such a positive response, keep at it. There you go doing it again,spilling all these creative juices in an amazing piece. What a sweet tribute. Well done B! This made me just missed my Dad. Fathers ought to be celebrated as much as mothers but well……. The mothers are having a upper hand in that department. The poems, the drawing all make me miss my dad more.